Two members of the Lousiville Fire Department became ice rescue certified. Luitenent Joe Shera and Probationary Fire Fighter Tommy Ahl braved the conditions to better serve our community! Image courtesy of the Lousiville Fire Department's Facebook page. 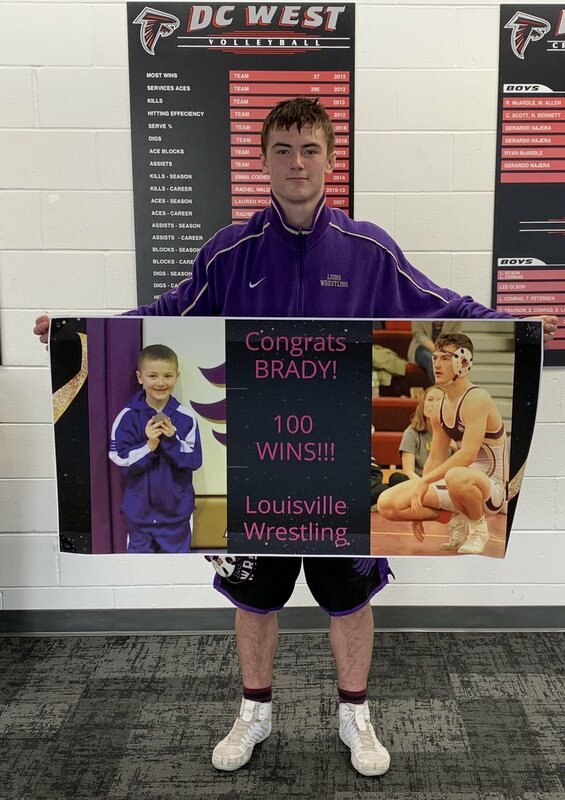 Congratulations to Louisville wrestler Brady Knott on reaching 100 career wins over the weekend! Image courtesy of LPSLionsActivities on Twitter. 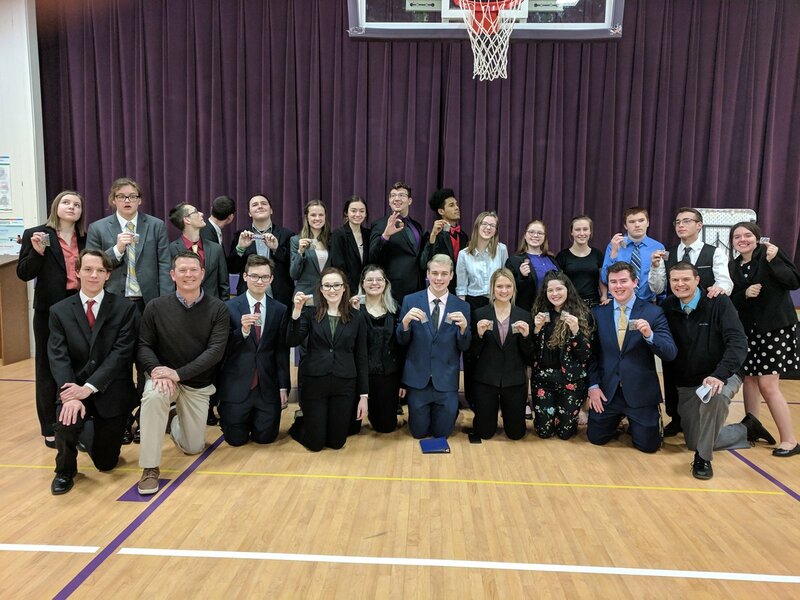 The Louisville Speech Team hosted the Louisville Speech Invitational on Saturday where they had 18 events reach the finals! Congratulations to the Speech Team for a job well done! Unicameral. It is an honor and a privilege. their senator supports for leaders who will control much of the legislative process. many competing interest for spending it, including property tax relief and Medicaid expansion. I am evaluating them and waiting to see which ones come out of committee. Nebraska’s military retirees from leaving our state and make us a more tax friendly state. added language to provide a process by which counties may change regions in the future. other bills I have introduced. (402­471­2613), or at my email: rclements@leg.ne.gov. The Southeast Region 911 is announcing the availability of Text –to- 911 service for its 16 member counties in southeast Nebraska. At this time, Text-to-911 service is available to the public, through most wireless carriers in the Southeast Region. Text to 9-1-1 is the next step in accessing emergency services as technology advances. While this is exciting technology that is existing with our daily communications, Text-to- 911 is not meant to take the place of calling 911 using standard voice calls. The National Emergency Number Association (NENA) Text- to- 911 campaign reminds citizens to “Call if you can, Text if you can’t.” For those individuals who are hearing or speech impaired Text-to-911 provides a more convenient method to report an emergency. For anyone who is in a place where they cannot safely talk on the phone, are unable to speak or lack of service won’t allow for a voice call, Text-to-911 can also be an important and life-saving tool. • Location acquisition is much more limited and often not available, where voice 911, will typically provide very good location information as to the caller’s whereabouts. • There is no guarantee your Text-to-911 text has made it to an emergency dispatch center until you receive a reply from the emergency operator. • Information can be obtained more quickly with a voice conversation than via text. For information regarding Text-to-911 and the need to “Call if you can, Text if you can’t”, please see the Federal Communications Commission website @ https://www.fcc.gov/consumers/guides/what-you-need-know-about- text-911. We had our soup supper Last Saturday Night. It did go over will and would like to thank everyone that showed up. Also we handed out some awards and took a group picture!